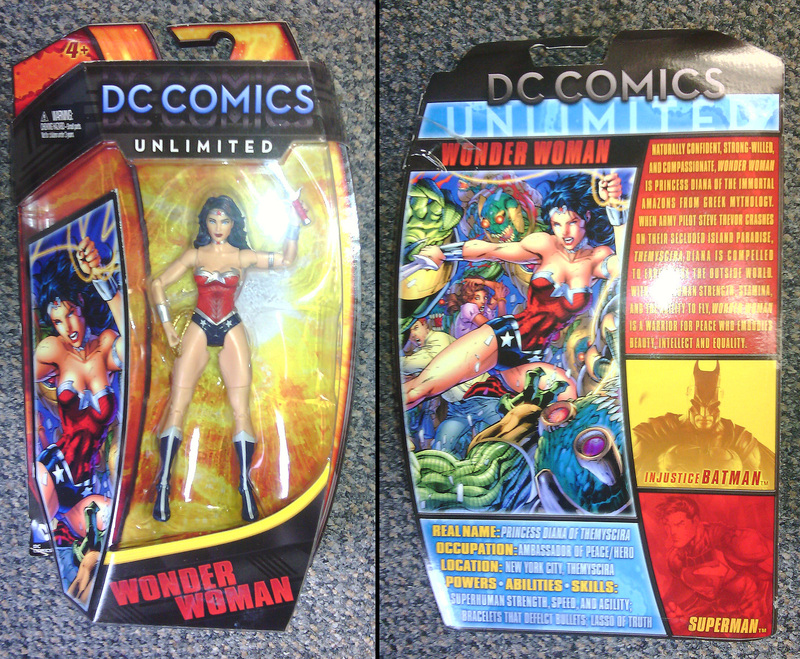 Another buy I found at my local Target was the newest version of Wonder Woman from the New 52 universe. 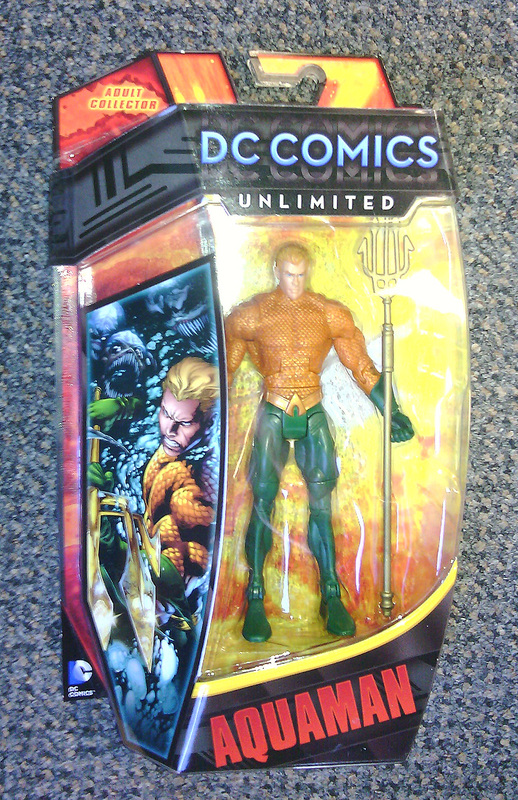 Courtesy of Mattel, this figure comes in the new DC Unlimited packaging. Sporting her new design, this figure really does have a refreshing modernized look to the Amazon warrior we know and love. 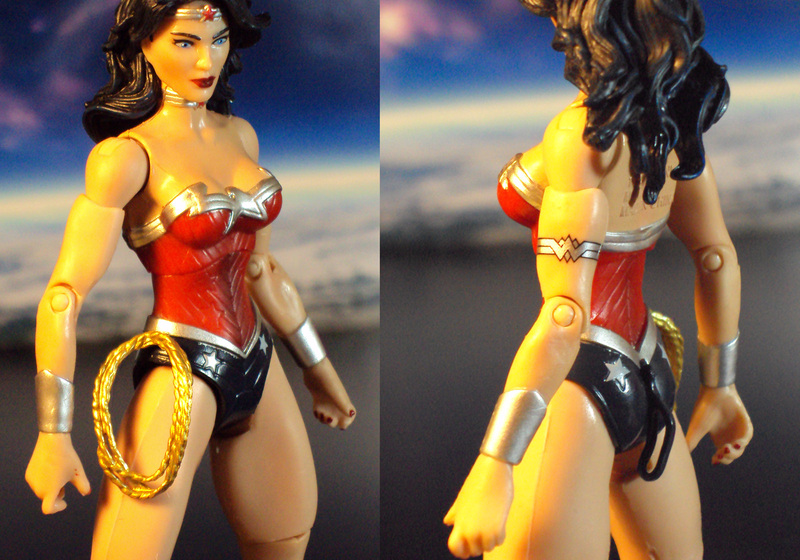 Her limbs are pretty much reused parts from the previous released DC Classics Wonder Woman. The head sculpt and torso are all new parts. The blue and red are darker. 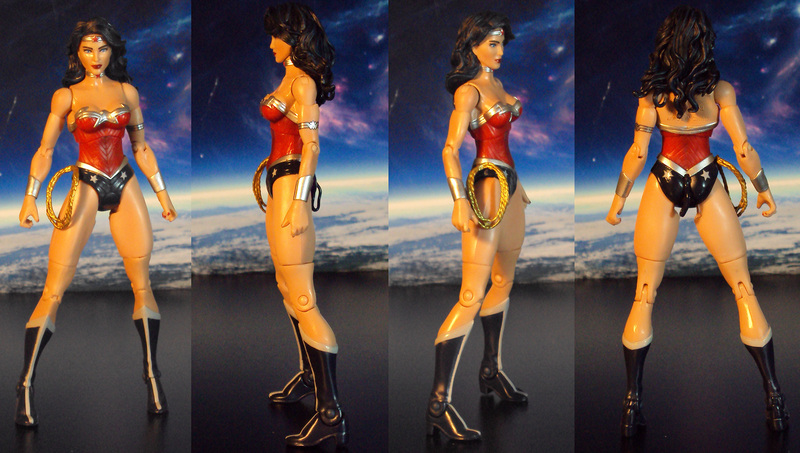 The lasso is a nice bright gold and she’s accented by very nice silver trims. 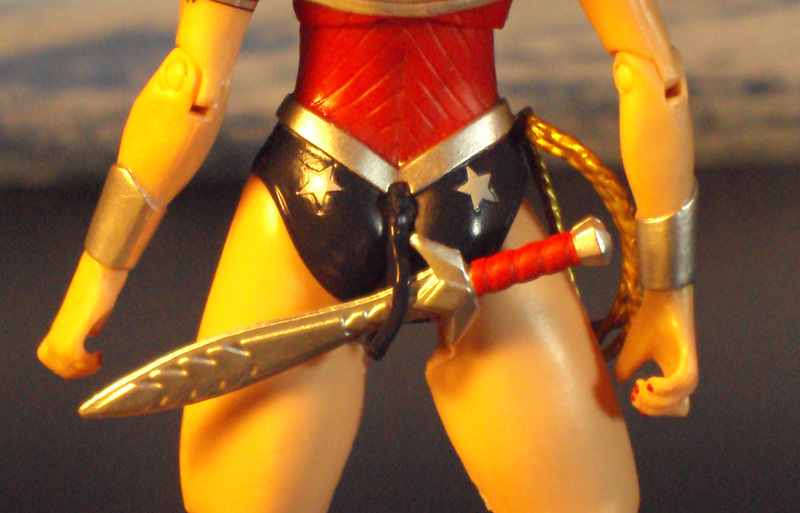 Note the crisp looking WW logo on her left bicep. 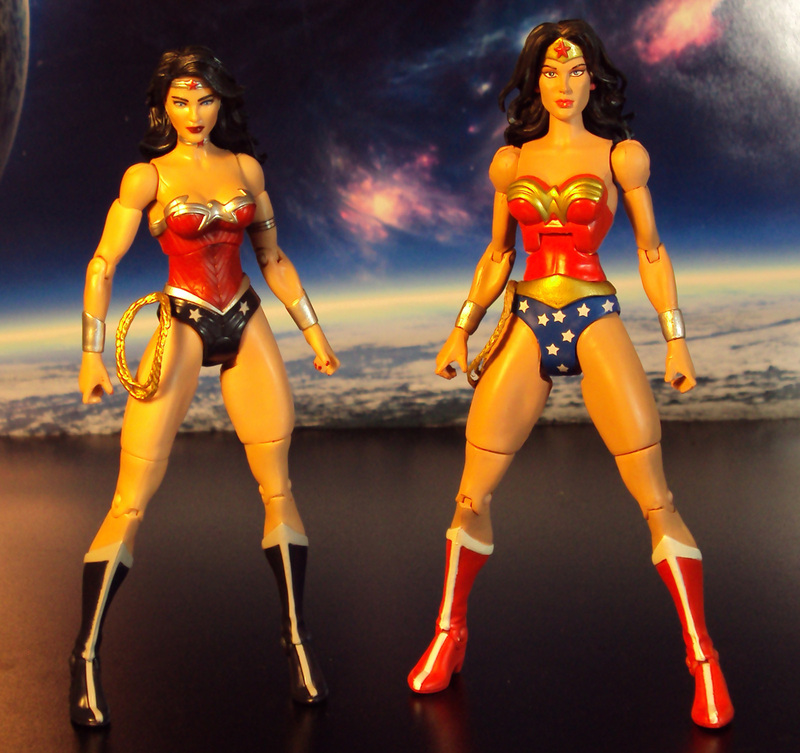 Here she stands next to the previous released DC Classics Wonder Woman. Notice the head is smaller and better proportioned with the body. 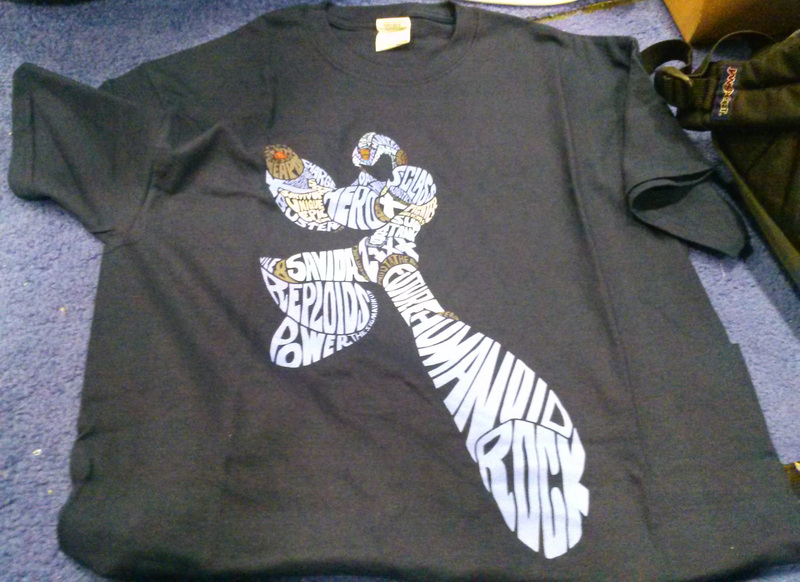 The shoulders are smaller and less ball-like. 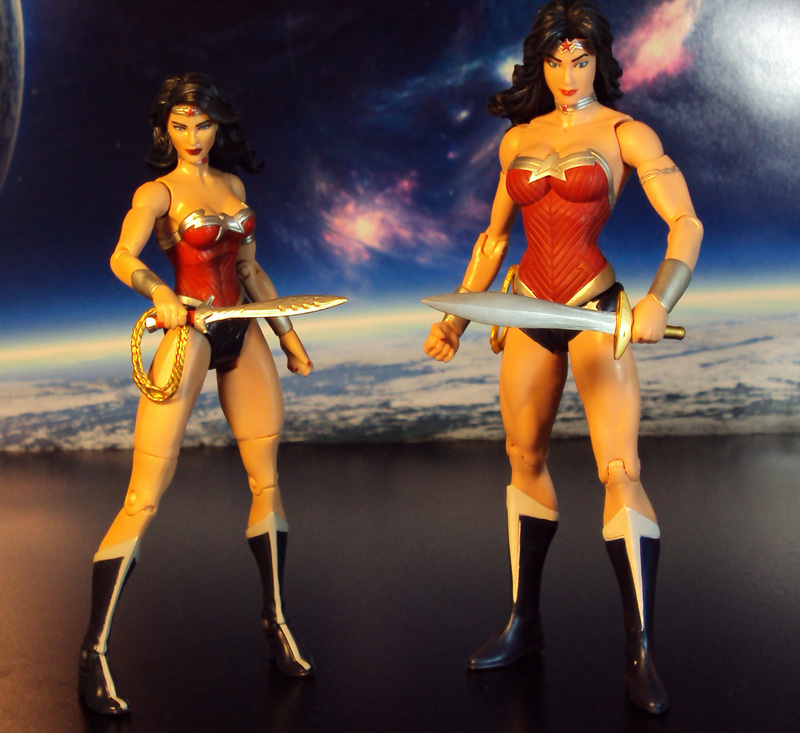 Here shes stands next to DC Collectibles version of the New 52 Wonder Woman. 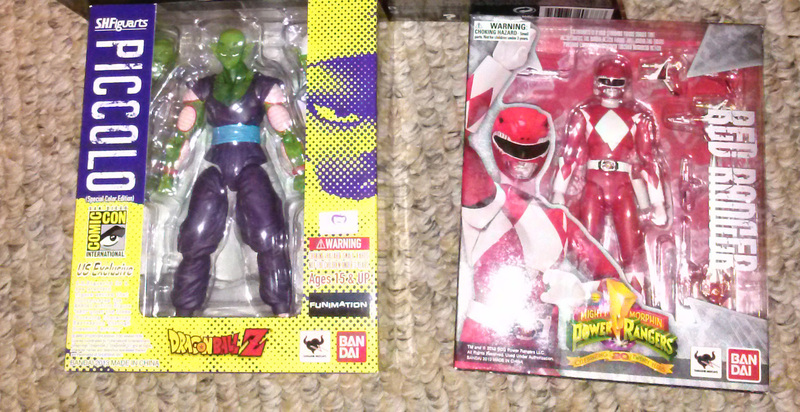 There’s an obvious size difference but I feel the sculpt is better with the Mattel version. 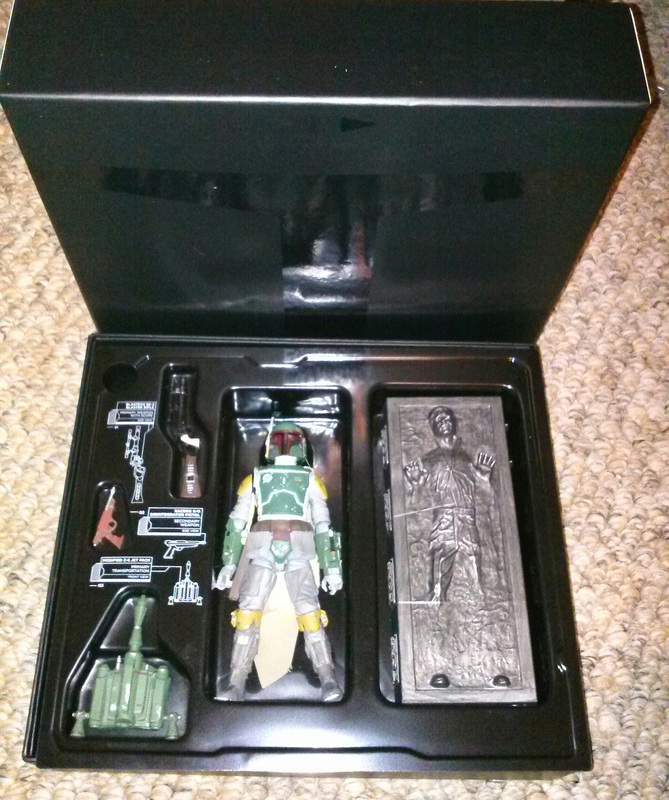 Also note the Mattel sword is better in design. 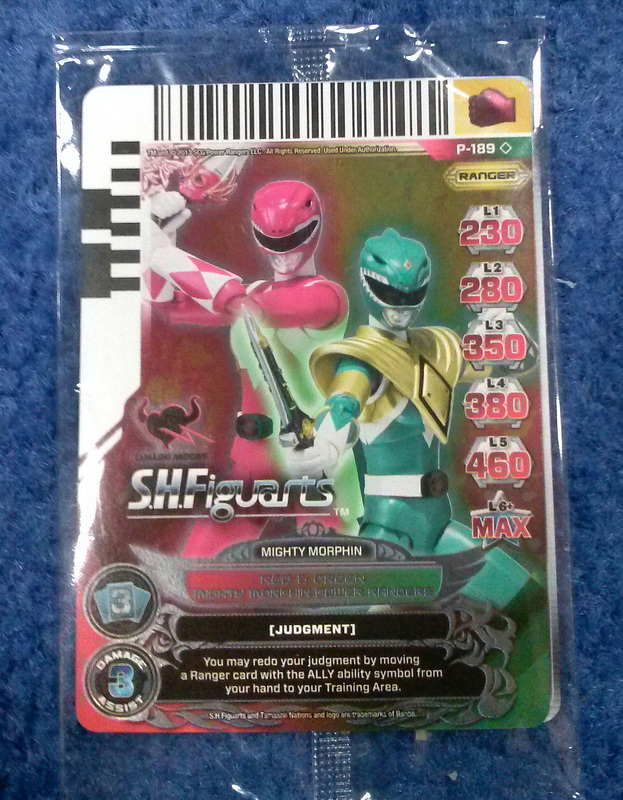 She comes with a short sword that can be stored on this small loop on the back of her belt. 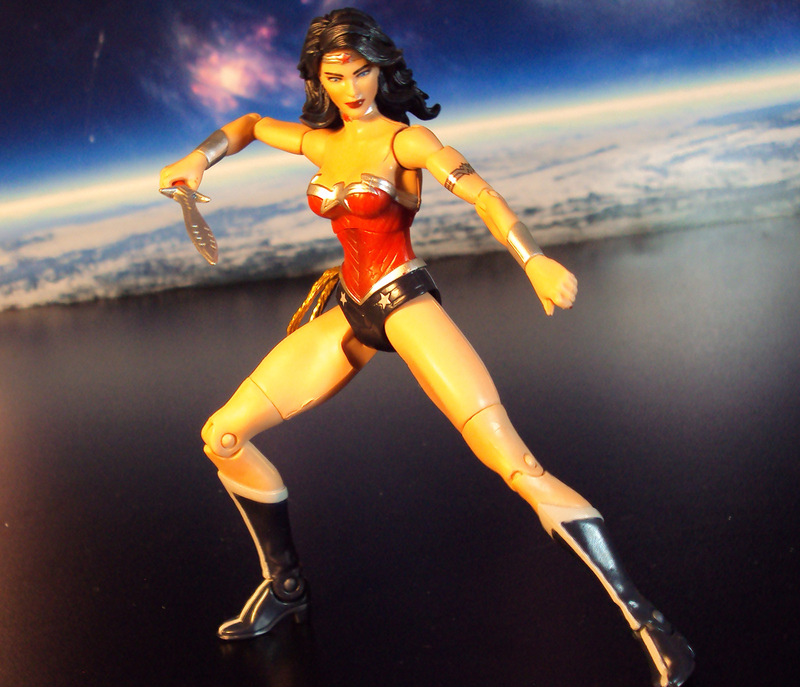 The articulation is pretty much the same as the previous released DC Classics Wonder Woman except for the high ab swivel instead of an ab crunch. I really recommend this lady. 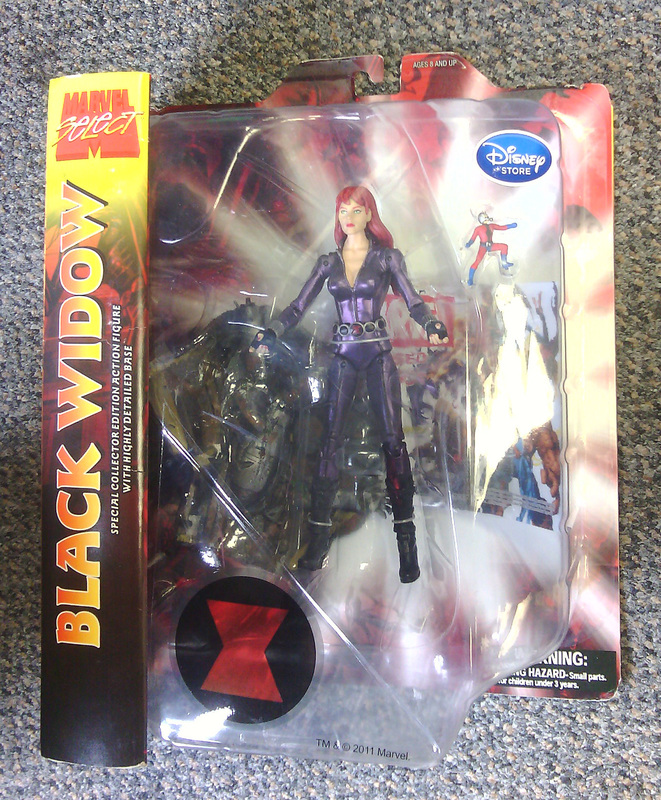 She has a good sculpt/design and fairly descent articulation for a female action figure. 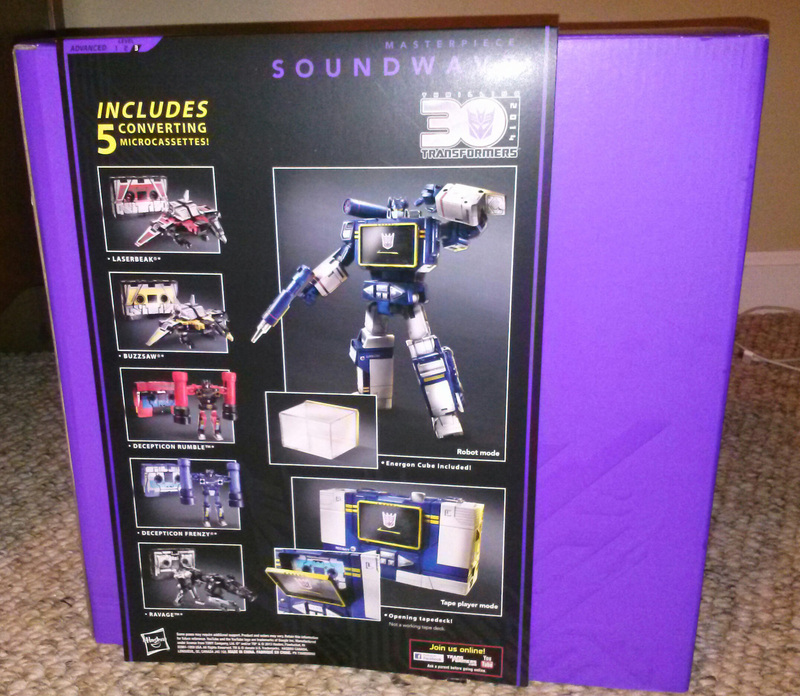 Sells for about $14.99 at retail (Target, Toysrus). Stopped by my local Target and spotted the newest wave of DC Unlimited action figures. This is Batman from the Injustice video game. 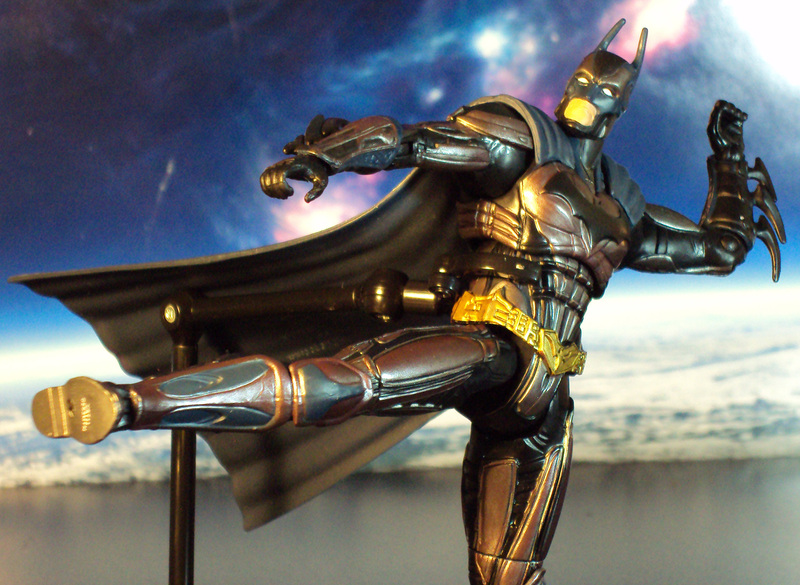 The design may not appeal at 1st glance but I have to admit its very impressive action figure in-hand. 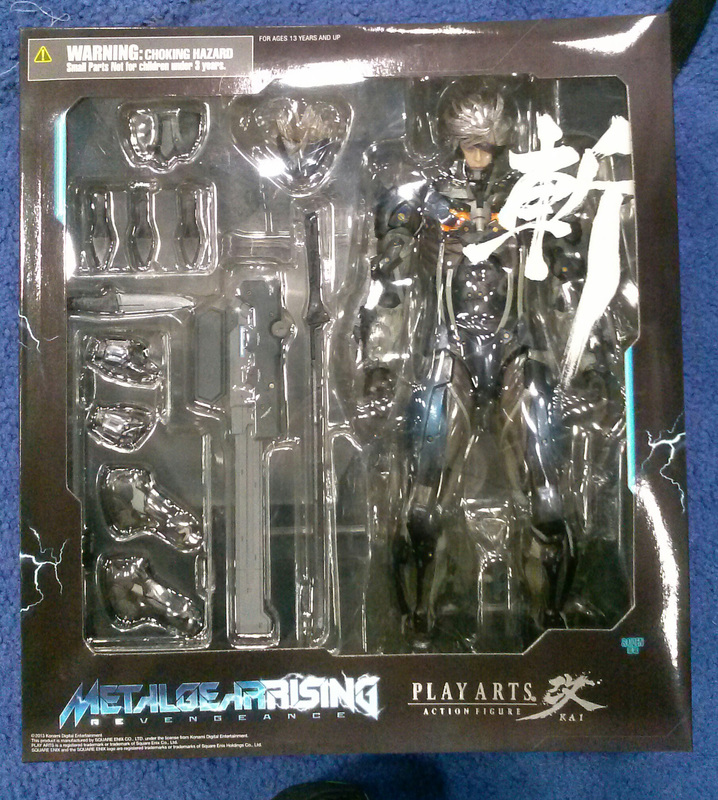 The paint job is amazing and very metallic. The figure lack eyes which kinda seems odd compared to the video game design which has them. I think what bugs me most about them is there roundness. 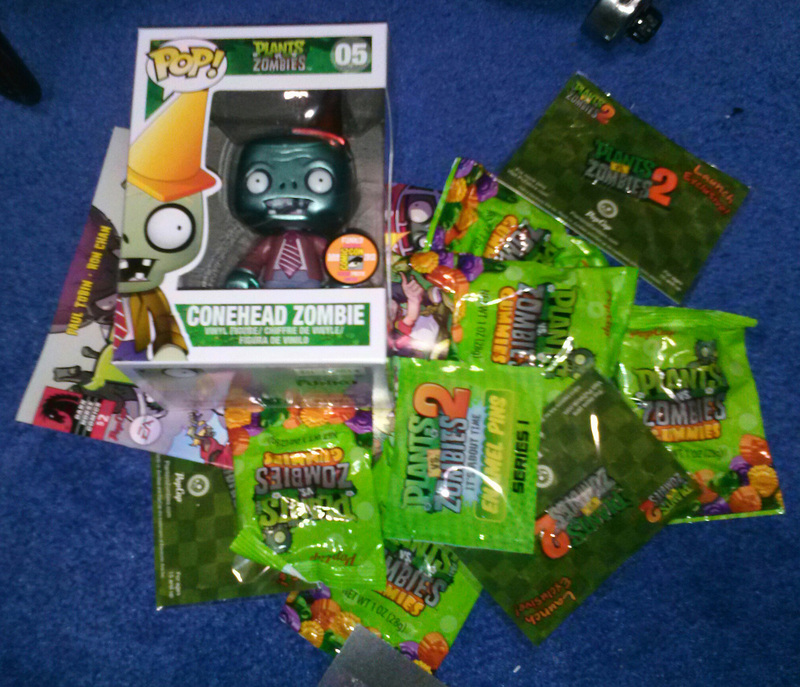 I would have preferred angrier sculpted ones. 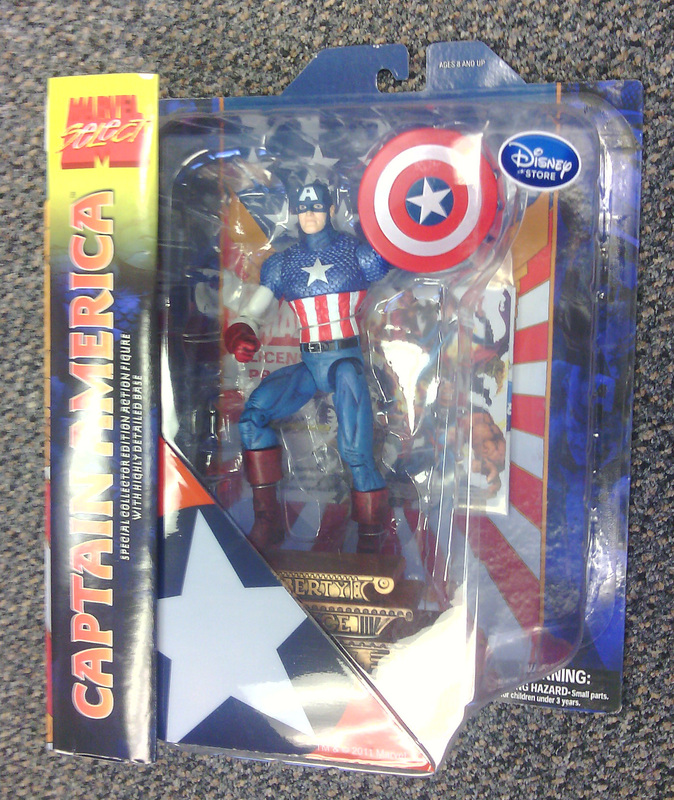 This figure really fails when it comes to articulation. There is no bicep or waist swivel. 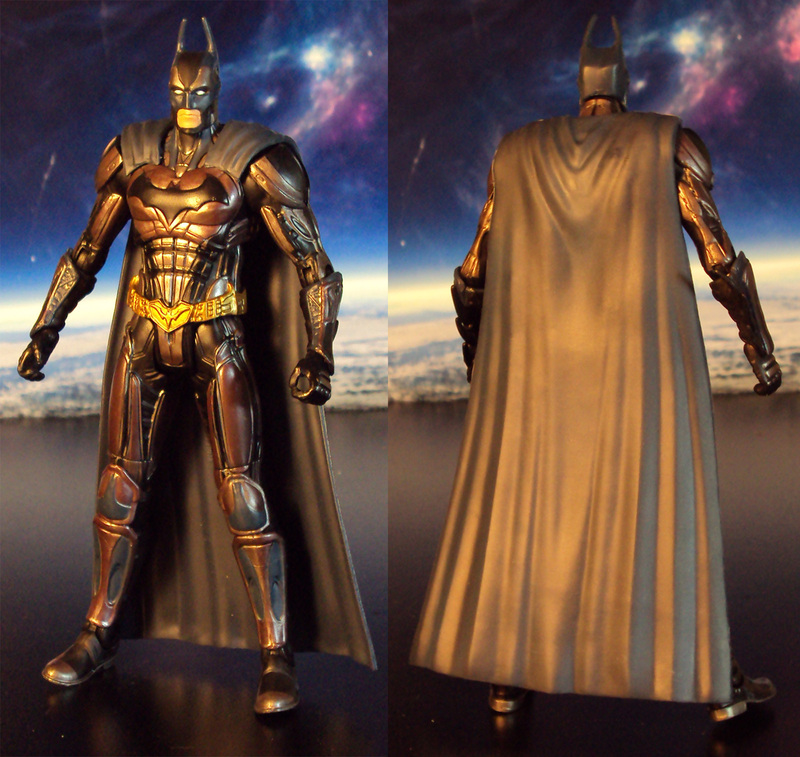 There is a swivel above the abs but its tight and limited by the sculpt. Single jointed elbows and knees only allow for 90 degree bends which really don’t help for dynamic posing. The last disappointment which was kinda of expected was no ankle tilt. 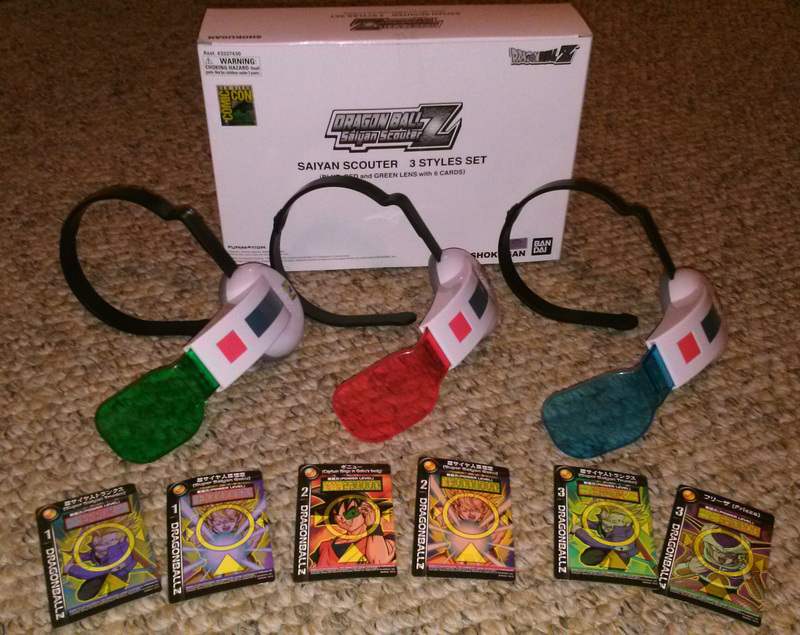 All the other typical Mattel points of articulation are there. 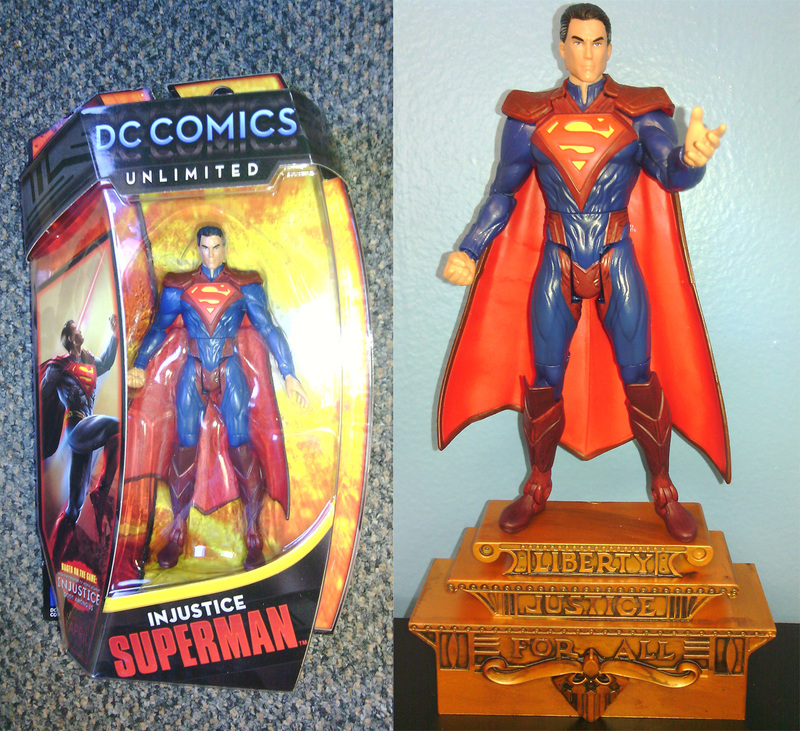 He does scale with other DC Classics/DC Unlimited figures by Mattel. 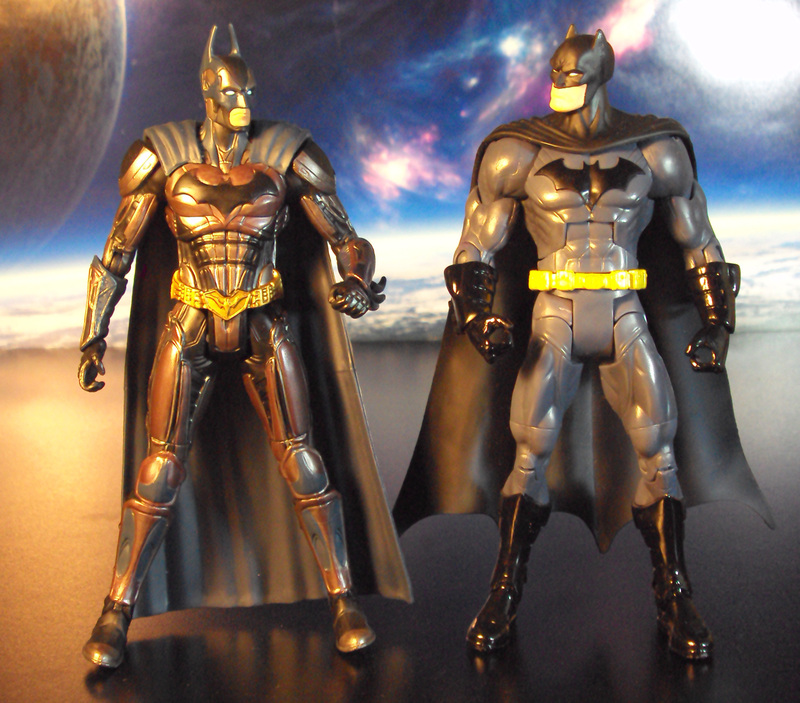 Here he is next to Mattel’s New 52 Batman. 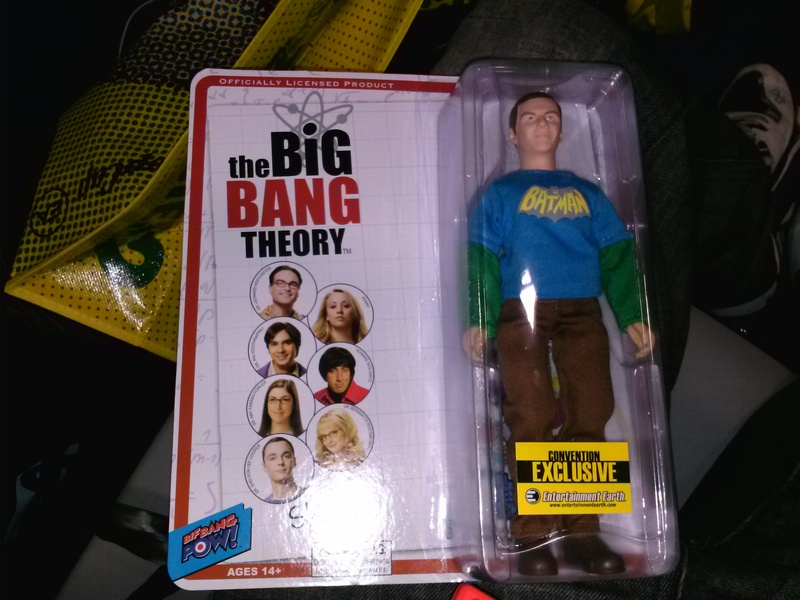 I would strongly stay away from this figure. 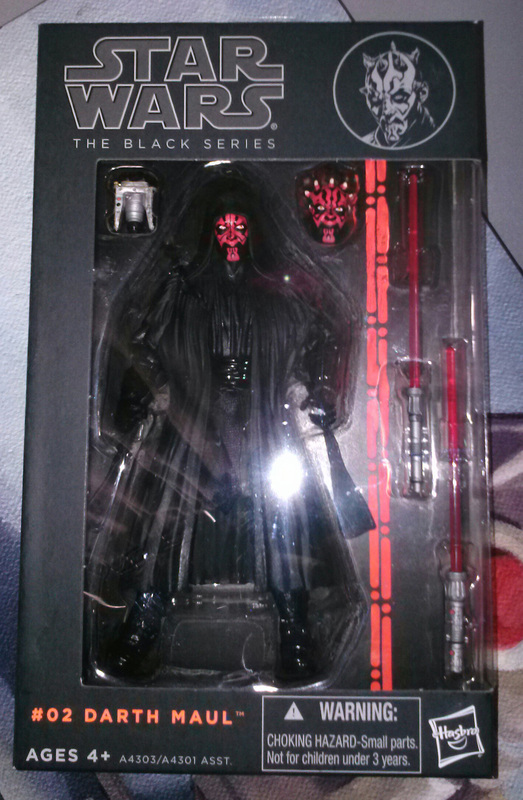 He seems very lacking in the articulation department and just doesn’t seem worth the retail price of $14.99. I’m really digging the new Superman design based off DC Comics New 52 Universe. 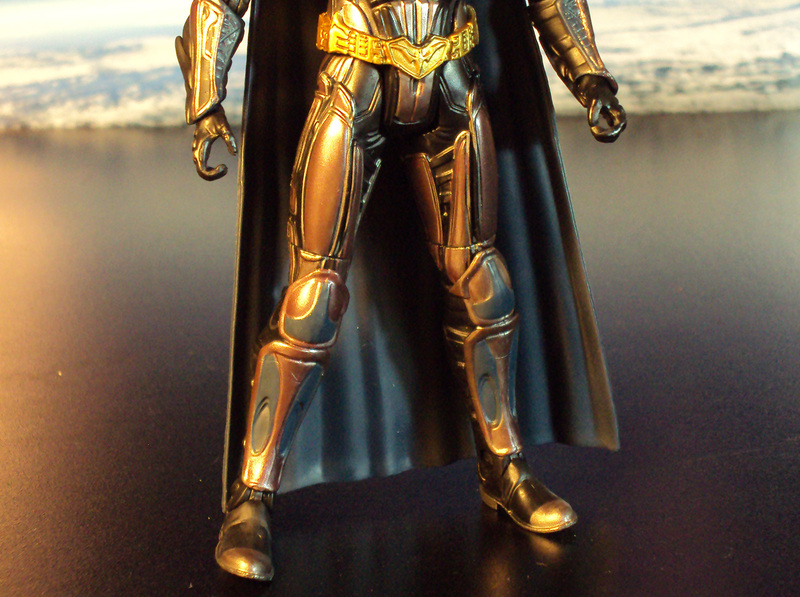 Here’s Mattel’s 2nd release of him but this time with an awesome metallic paint job. 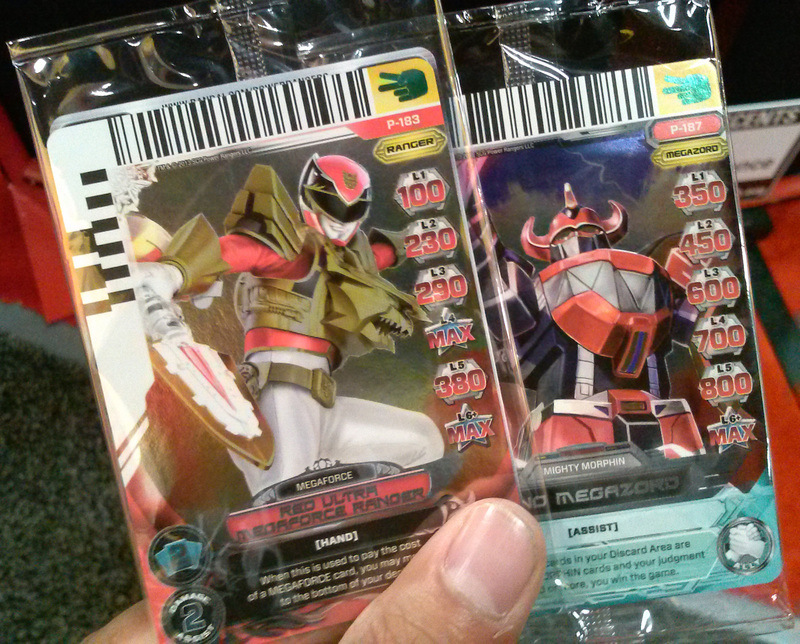 The packaging is very modern and slick. 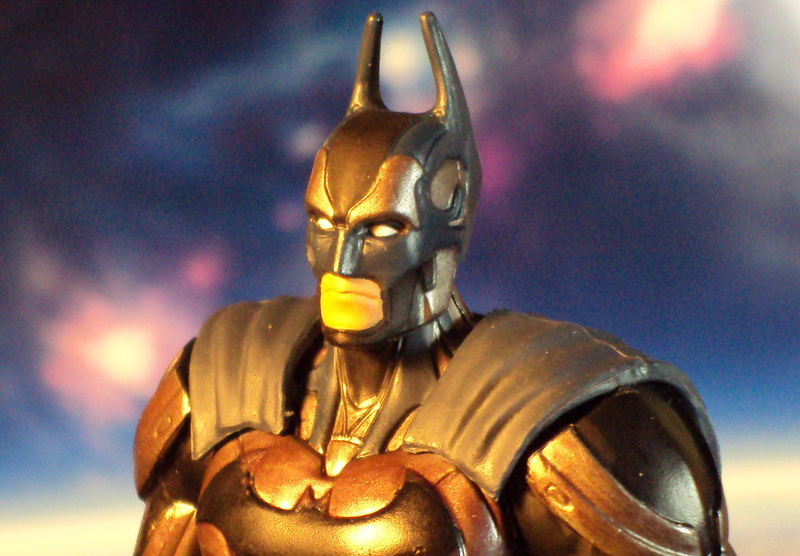 Sculpted by the Four Horsemen, this figure looks even better just by the shiny paint job alone. 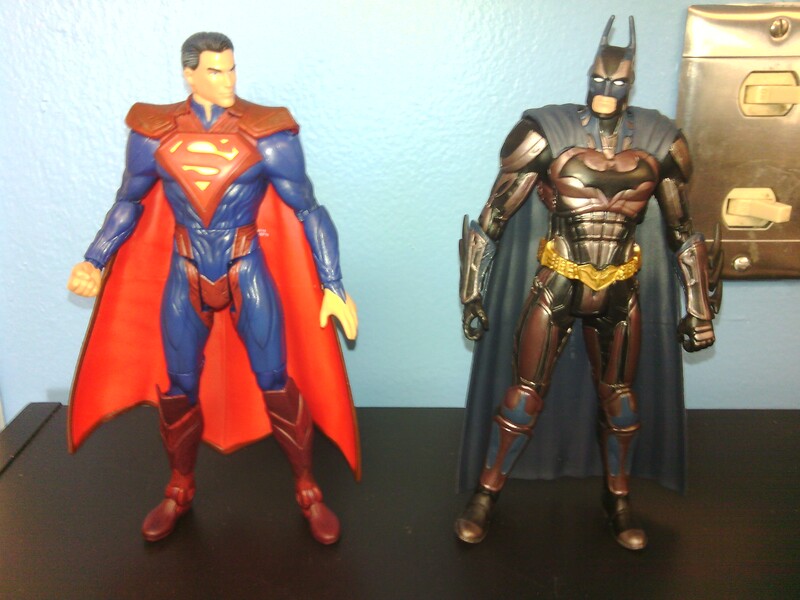 Here’s a side-by-side comparison with Mattel’s DC Classics All-Stars version of the figure (on left). He’s to scale with all previous DC Classics and Unlimited figures by Mattel. 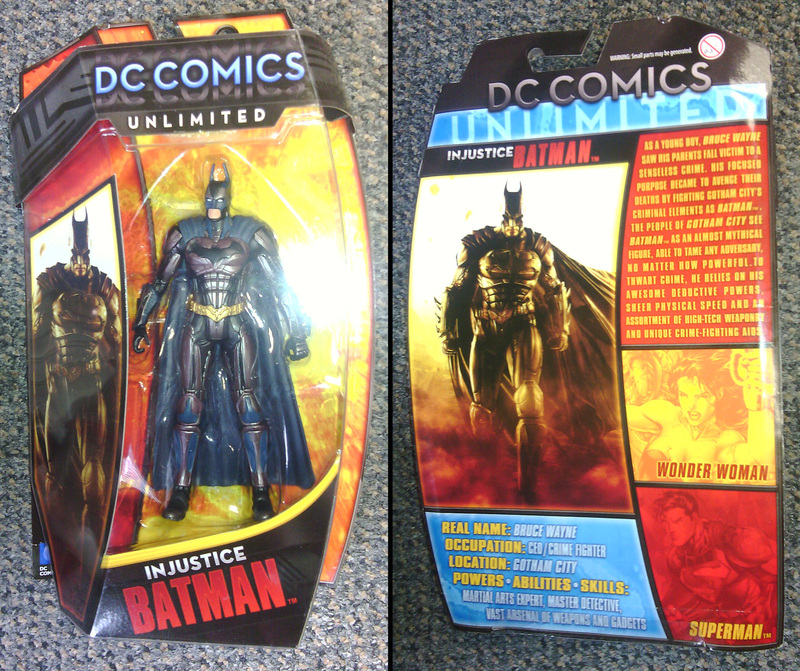 Here he is next the Mattels’ DC Classics All-Stars (New 52) Batman and Batman Unlimited (New 52) Batgirl. This is definitely the better of the 2 versions of this figure. 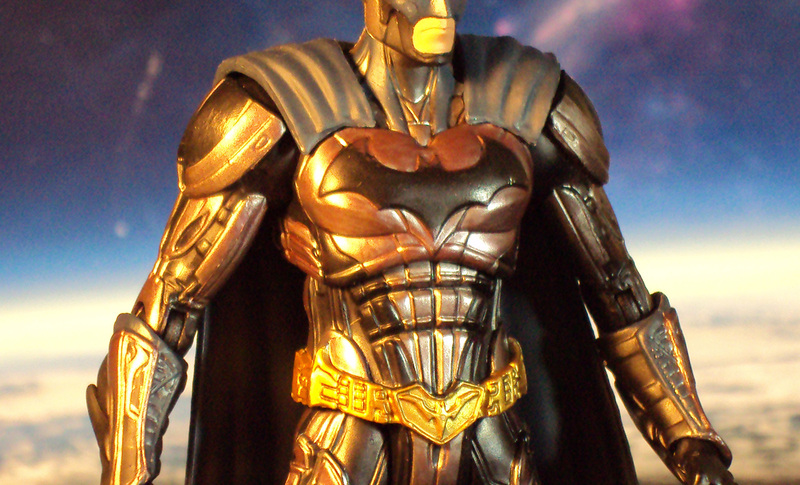 I can’t say enough about how the metallic paint job makes this figure feel more finished. 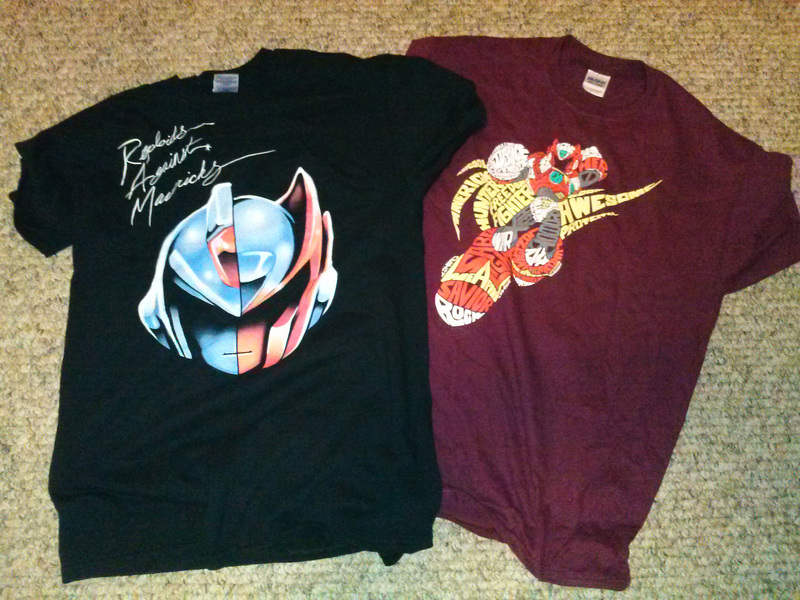 Retails for about $20.